Something I’ve been thinking about lately is stories. No not intellectual novels (although I do love a good book!) but stories on Snapchat and Instagram. I’m the first to admit I’m not a strong Snapchat user but Instagram I get. The replies are below but the key reason for me is the obvious: ‘know your audience’. I also had this question offline and it seems the Snapchat generation don’t understand why Instagram bothered with stories so they don’t even look at them. I’ve noticed my behaviour has been to ignore stories on Instagram and instead go for the content under. Also interesting that while content can be recycled across platforms, it’s best to try to great targeted content for the platform AND the audience. In other words, don’t share a Snapchat story or filtered picture on Instagram. Apparently eyes will be rolling and not in a good way. However, another conversation is around the age of the social media people. I will not go so far as to say all the younger ones get Snapchat and Instagram, however it does seem those comfortable with Facebook and Twitter don’t feel as comfortable with Instagram and Snapchat. …problem is that intellectual property law hasn’t quite caught up to the pitfalls of tech innovation. As intellectual property lawyer Jeremy Harris told TechWorld, Snapchat wouldn’t have a case against Instagram “unless they are copying the underlying source code, or perhaps the exact way it looks.” Does this mean that, in the realm of software, it’s a free-for-all—so long as you don’t lift exact code from a competitor? For now, Instagram can rest assured that people will definitely use Instagram Stories—be it for the superior design or ease of discovery—and that sharing on Instagram is soon to be on the upswing, if it isn’t already. And isn’t that all that really matters? Another great article from addthis.com that not only includes ‘How to’ use them but Pros and Cons on using stories also. So, where do Instagram Stories fit? 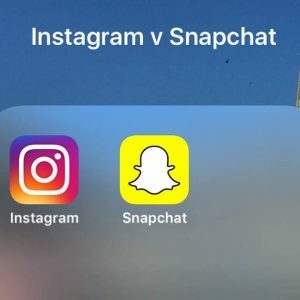 There may be duplicate content between Snapchat Stories and Instagram Stories for a while until users, especially brands and marketers, figure out how to create unique social content on each platform. But until then, start playing around with Instagram Stories, see how your followers respond, and have fun! What are your thoughts? Also anyone have good analytic solution for them? I’ve storied the tweets here and click on Instagram to read the comments there.